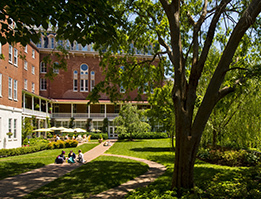 Since its founding in 1799, Visitation has been blessed by dedicated alumnae, parents, and friends whose support is as crucial today as it was in the past. Thanks to this loyal community, our heritage, values, and faith-filled legacy continue unbroken. 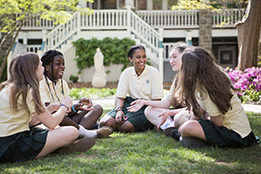 We are so grateful to the more than 2,400 donors who regularly support the school through annual and planned gifts to the Visitation Fund and to our Capital Campaign. 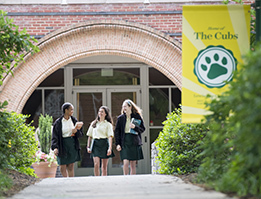 These gifts help ensure the school’s financial stability, provide financial aid, maintain and preserve our beautiful historic campus, hire and retain outstanding teachers, and much more. Supporting Visitation is supporting a way of life that encompasses faith, values, academic excellence, tradition, and service to others. Our graduates are young women of faith, vision, and purpose who have been blessed by the prayers of the Sisters, the wisdom of their teachers, the Salesian values they have learned, and the generosity of all who have given their support to Visitation. If you would like to learn more about the many ways you can support Visitation, please contact Senior Director of Development Kathy Baczko at kathy.baczko@visi.org or 202.337.3350, ext.2271. Members receive special recognition in our Honor Roll of Donors and in Visitation magazine. Since our founding in 1799, Visitation has been blessed by the generosity of our community. Thanks to these loyal donors, our heritage, values, and faith-filled legacy continue unbroken. If you have questions about your giving history and membership, please contact Kathy Baczko, Sr. Director of Development, Kathy.Baczko@visi.org or 202.787.5677. 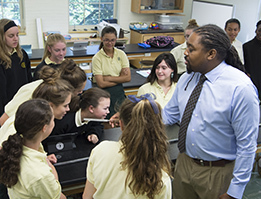 Our annual fund supports our students, teachers, classrooms, and campus. "A Cherished Past, A Vibrant Future" is preserving our charism, building our endowment, and enhancing our campus. Our annual Christmas market raises funds for the school and helps the community get in the Christmas spirit! 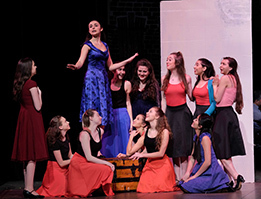 Our annual gala, held each March, raises critical scholarship funds and is always a great time! 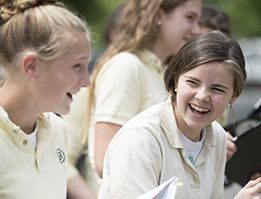 Generous Partners provide 25-100% of a students' tuition each year. Planned gifts provide long-term support for the school and its students, and can have tax benefits for the donor.